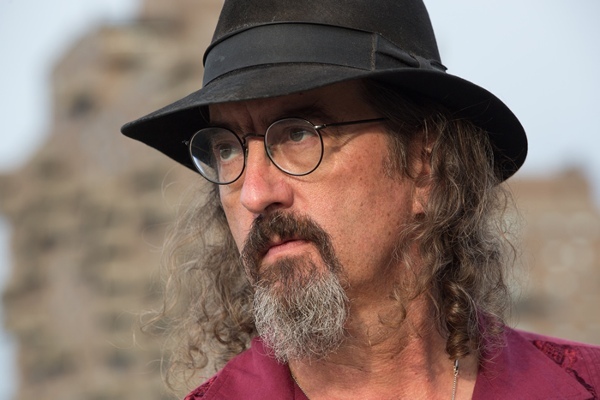 Life may be complicated, but in his latest release James McMurtry does a mighty fine job capturing all of its little nuances. That, of course, is nothing new for the storytelling McMurtry, who Stephen King considers one of the best songwriters of his generation. Not bad praise from a man who can spin a pretty good yarn himself. His first release in six years, the album is classic McMurtry. His eye for observation and detail is unmatched, and his character development is full of depth and nuance to an extent that it is easy to forget that it is mostly observational rather than autobiographical in nature. Fans of his music might think his writing acumen is inherited. After all, his mother was an English professor and his father, Larry, is a Pulitzer Prize winning novelist. After talking with McMurtry, I’m more inclined to attribute his writing to two other factors. Perspective is everything when it comes to observation. Second, he was deeply influenced at a young age by the master songwriters ahead of him, such as Kris Kristofferson and John Prine. “Kristofferson was the first guy who identified to me as a songwriter. I was about nine years old when I first heard Me and Bobby McGee, and up until that point I had never put much thought into where songs came from. Everyone has heard stories of songs being written in 20 minutes after waking from a dream in the middle of the night. McMurtry, though, takes a bit more leisurely approach to writing. He has always had the habit of jaunting down words or phrases that come to him. Early in his career, these would be written on pads of paper that he kept. Nowadays he uses a computer, but the process of building a song has remained the same. More typically, McMurtry begins with a bit of verse and a melody. “But I have to think, ‘Who said that?’ And then I come up with a character that might have said that. Then I can come up with a character and get the story. If I’m lucky, it will fit into a verse / chorus structure where I can actually build a song out of it,” he explains. 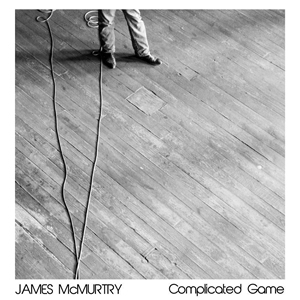 McMurtry’s storytelling on “Complicated Game” is superb. South Dakota tells the story of a herd of cattle lost in an early season blizzard from the perspective of a young soldier returning home. In a similar vein, Carlisle’s Haul describes fishermen off the coast of Maryland trying to survive on the sea, forging a living with nets rather than fences and prairieland, an experience McMurtry witnessed first-hand. “A friend of mine had a river house down by the mouth of the Potomac. We were down there duck hunting. It wasn’t fishing season, but we heard somebody was running a seine. We went down there to see what it was about,” he recalls. While McMurtry may not consciously write autobiographical material, there are distinct parallels between his characters and his career, especially as it relates to some fundamental changes in the music industry. Musicians, just like the characters McMurtry writes about, have to make do as well. James McMurtry visits the Aladdin Theater on Sunday, June 7, 2015. Doors are at 7:00pm and tickets are still available as of this writing.